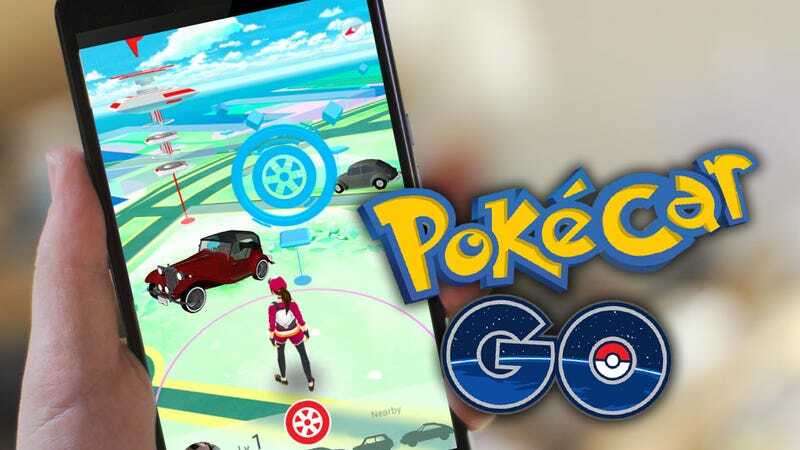 Unless the coma you’re in is a really top-notch one, chances are you’ve been hearing an awful lot about Pokémon Go, an augmented reality app that makes people run around chasing invisible monsters without the use of pharmaceuticals. There really needs to be a version of this sort of thing with cars instead of imaginary Nintendo-monsters for America’s important gearhead population; here’s what it could be like. Essentially, the basic premise behind Pokémon Go is that the world – our world – is infested with all manner of these pocketable monsters, and by physically walking (or driving, or floating or autogyroing) around the world, you can find them, capture them, and force them to fight one another. Written out like that, it sort of sounds disturbing, but I’m assured it’s all in good fun. Now, of course there’s a bit more to it than that, but our sibling-site Kotaku has already taken the time to explain it all, so just check that out, then pop back here when you feel sufficiently edified. Okay, got it? Great. Now you have something to talk about with that cute person of whatever gender you like you just saw staring at their phone and falling down a parking garage staircase. The basic augmented-reality, collecting interesting things and using them to compete with other people collecting interesting things is great, and there’s no reason this shouldn’t be adapted to something vastly more interesting than a huge stack of Pikachus: cars. So, in our hypothetical game, which we’ll call Pokécar Go, because I love lawsuits from Nintendo, if you’re driving around and see a particularly interesting car, you can attempt to ‘catch’ it. We’ll have to figure out something other than throwing Pokeballs at it – maybe you attempt to virtually hook a tow line to it? 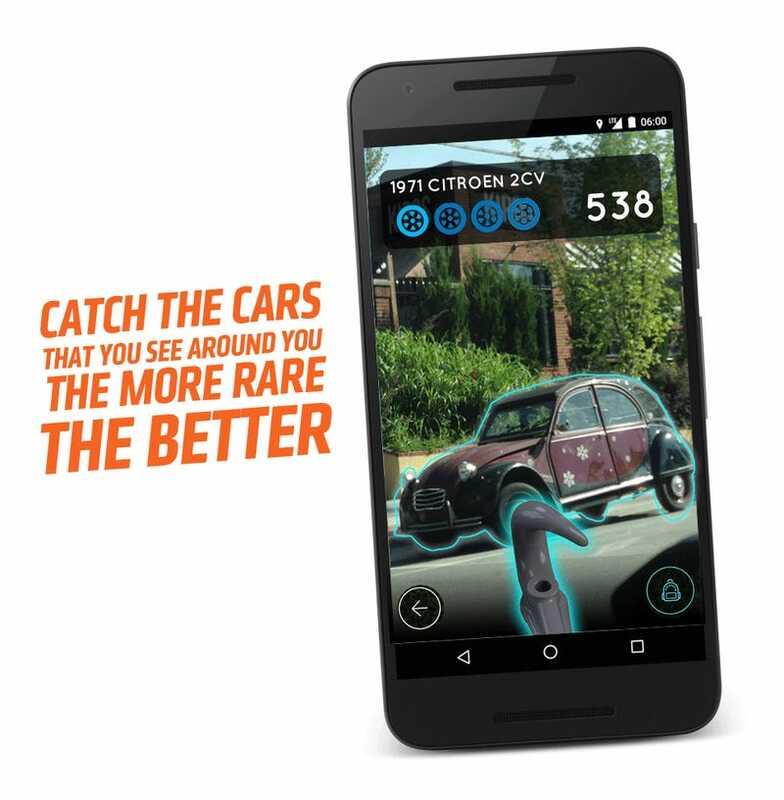 Eventually, you’ll be able to catch it, and when you do, it’ll go into your Garage. Now, once the car’s in the garage, a few things should happen. First, if at all possible, the car should be identified, preferably via some sort of sophisticated algorithm, though I realize that could prove to be very, very difficult. Perhaps if tagged photos from Google Images could be used to help build a reference database, it could be done, but it’s possible this may not be possible. Even if not, there should be a way to ID and tag the car, and possibly your identification can be challenged and corrected by other users, to prevent cheating. I’m still not totally sure how best to accomplish this. Once the car is ID’d, your location would be taken into account and the rarity of the car in your area would be factored to give it a rarity score. That, along with other factors referenced from a database (speed, agility, character, durability, fun, utility, etc) would be combined to give the car some sort of overall rating. I think rare things should get better ratings, but that’s just me. So, for example, this 2CV would be a pretty prime catch; quite rare where I am, lots of character, and, while slow, it should be a pretty worthy find. Now, people in cities like Los Angeles, where you can see Dual Ghias and Tatras driving around occasionally, would obviously have a huge advantage over places where the most exotic thing on the road is a Camry with a radio delete option from the factory. To try and even up the odds a bit, virtual cars should be part of the game as well. This would also allow for playing Pokécar Go indoors or underwater or other places where cars don’t normally hang out. These virtual cars could be captured much like real cars, and would be more common, but would be in some sort of lesser category than finding real cars. The whole point of this is to add a gameplay element to the already glorious pass-time of car-spotting, so I think a preference for finding real cars still makes sense, but odds could be evened a bit by having the virtual cars as part of the game as well. Now, there needs to be something analogous to the combat element of Pokémon Go, so that’s where Races and Racetracks come in. In the same way Pokémon Go has Arenas, Pokécar Go would have racetracks, and in these tracks various kinds of automotive sporting events could happen: drag races, track races, rallycross, autocross, hillclimbs, off-road battles, demolition derbies, whatever. Maybe to keep the odds even, when you and an opponent get to a track, the contest is picked at random. That way, if you have a real-world Lamborghini Aventador and the other guy shows up with a real-world Jeep Scrambler, there’s at least a chance the Jeep could have a chance to win. I’m guessing the races would be sort of automated based on the points and stats of the competitors, like Pokémon Go seems to be, but I’m open. That’s essentially the quick-brainstormed idea here: cars instead of invisible, mythical chimeras, a sort of game-ified approach to car spotting, and building up and sharing a fun fantasy garage of sorts. Attendance at car museums could benefit from this, when people realize that they can get a crapton of unique real-world cars in a few hours; that gets people out to these museums to see interesting cars, and I’m pretty sure that’s a good thing. I feel like I’d play the hell out of something like this. I’m open to everyone’s input here, too, and maybe once we all figure out the ideal way to do this, we can convince whatever moneybags company that buys Gawker to fund its development. That’d be a nice upside to all this, right?